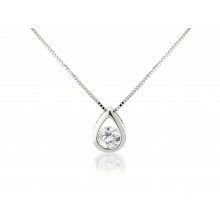 A clever design of a well-loved classic: a simple round brilliant cut Diamond Pendant with a wide rubover setting and cut-out feature around the sides. 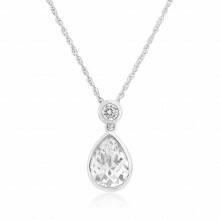 The White Gold chain threads through the open back of the setting and allows the Pendant to slide freely along the chain. 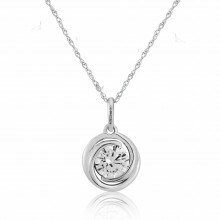 Easy to wear, a jewellery box staple and a perfect gift.